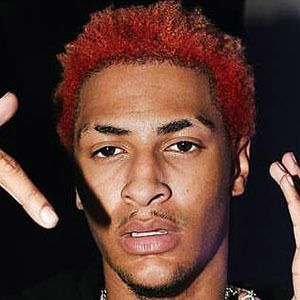 American turn up rapper who is known for his popular singles "Piped Up," "Run it," and "Hella Choppers." On August 19, 2016 He released his debut solo EP Aloe Vera. He was inspired by rappers Nipsey Hussle and Lil B. He published a 2 minute freestyle titled "Uber Everywhere." His real name is Jahmier Velazquez. He is originally from St. Louis, Missouri. He was an opening act for fellow rapper Post Malone during his 2016 tour.